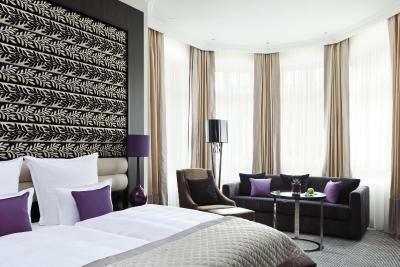 Lock in a great price for Steigenberger Grandhotel Handelshof Leipzig – rated 9.4 by recent guests! 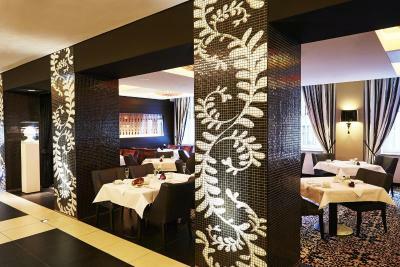 The staff was extremely helpful, the restaurant was absolutely amazing, and you can’t beat the lucation of this property. I highly recommend this hotel. Super location right near the Market and old City Hall....and a 10 minute walk from the train station. Very quiet and elegant hotel. Spacious, modern room with correspondingly big and very modern bathroom/shower, which we loved. The staff is superb, competent, helpful and friendly. 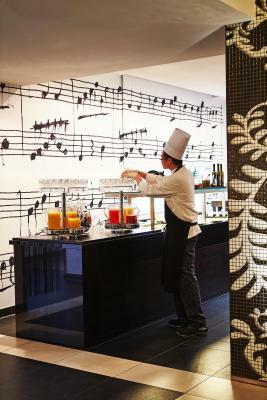 The facilities are wonderful in all aspects, and the cuisine is top-notch. 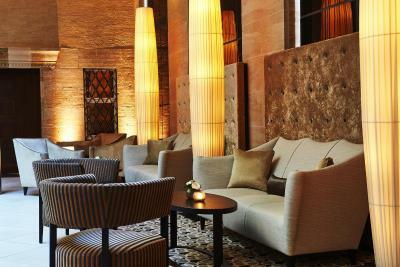 This is our second stay at the hotel; we recommend it to all our friends who are considering a trip to Leipzig. The staff were excellent and very responsive and helpful. 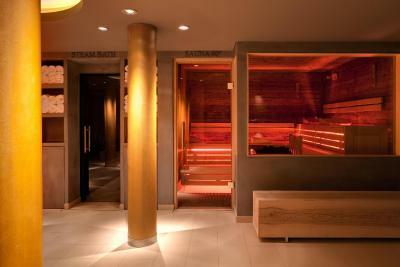 The amenities were great (really good sauna area, bar and restaurant). Room was beautiful, clean, and comfy. 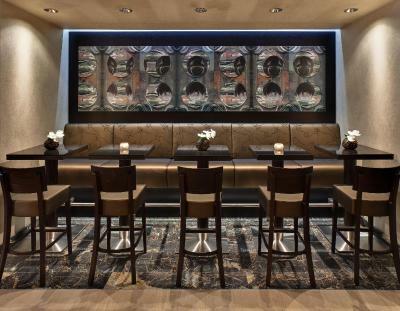 Smoking lounge is convenient and comfortable with bar service. This is a grand hotel in the old style, with numerous attentive staff, a top hatted door man, bed turn down service, an extravagant breakfast buffet, large comfortable rooms and a great location. Not cheap, but if you want quality it's well worth it. 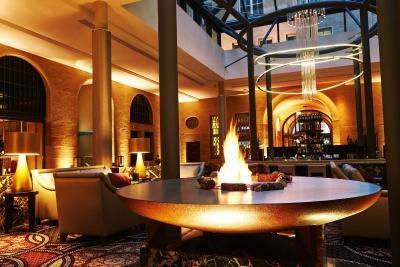 Steigenberger Grandhotel Handelshof Leipzig This rating is a reflection of how the property compares to the industry standard when it comes to price, facilities and services available. It's based on a self-evaluation by the property. Use this rating to help choose your stay! One of our top picks in Leipzig.This modern hotel is located beside the historic Naschmarkt square and Old Town Hall in central Leipzig. 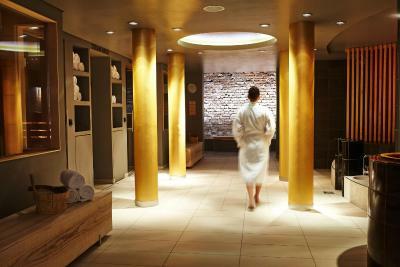 It offers a large spa, soundproofed rooms and free Wi-Fi. 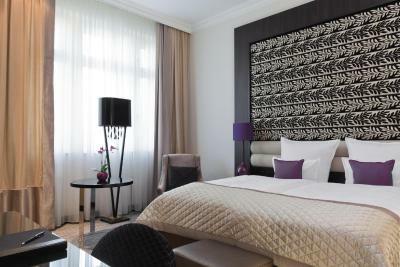 The luxurious rooms and suites of the Steigenberger Grandhotel Handelshof Leipzig feature free tea/coffee facilities, at least 2 telephones with voicemail, and a flat-screen TV with satellite channels. A free bottle of water is provided in each room. 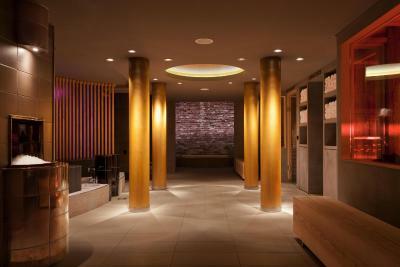 The Steigenberger Leipzig’s exclusive Spa World offers sauna and fitness facilities on 2 floors. Beauty and massage treatments are also available. 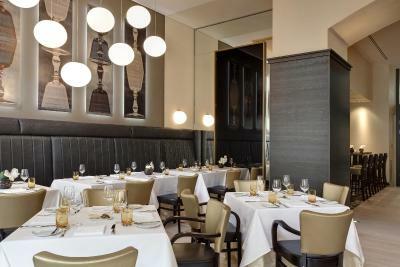 The Brasserie restaurant serves international cuisine and fine wines. 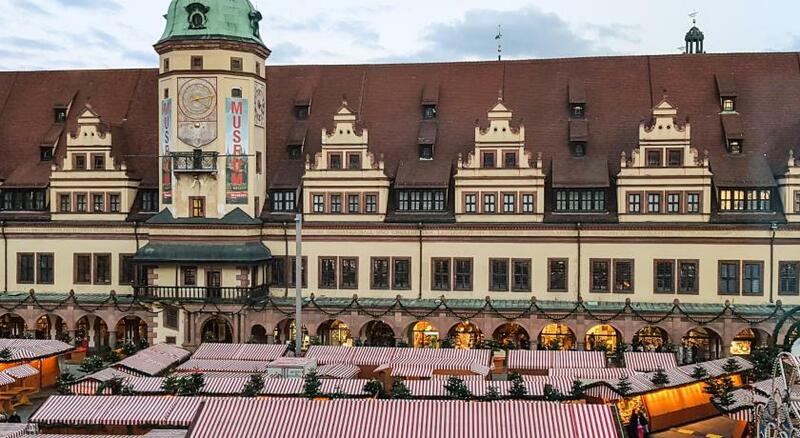 It provides great views of the Naschmarkt square and Old Town Hall. The Steigenberger’s bar is in the unique Lichthof area. Leipzig Zoo is a 5-minute drive away. 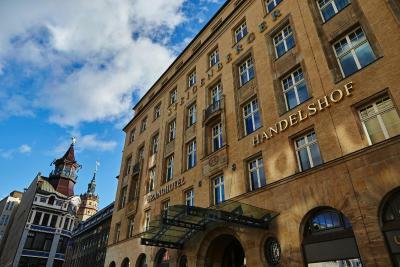 Valet parking is also available at the Grandhotel Handelshof. 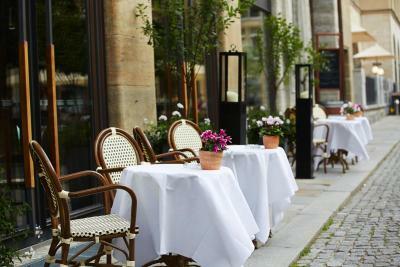 Mitte is a great choice for travelers interested in restaurants, architecture and atmosphere. 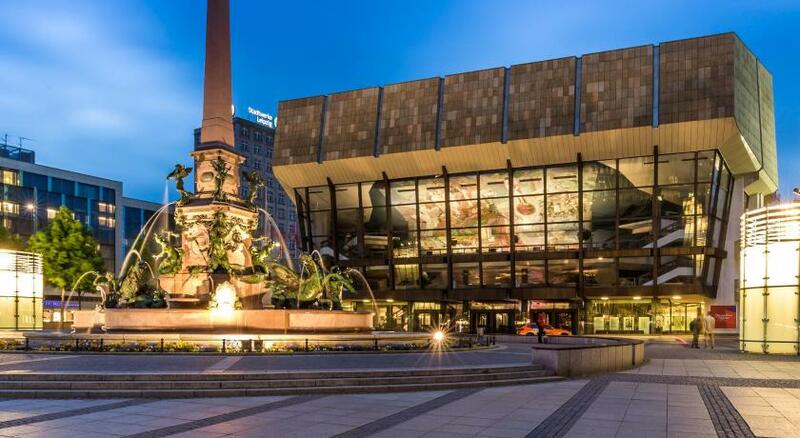 This is our guests' favorite part of Leipzig, according to independent reviews. 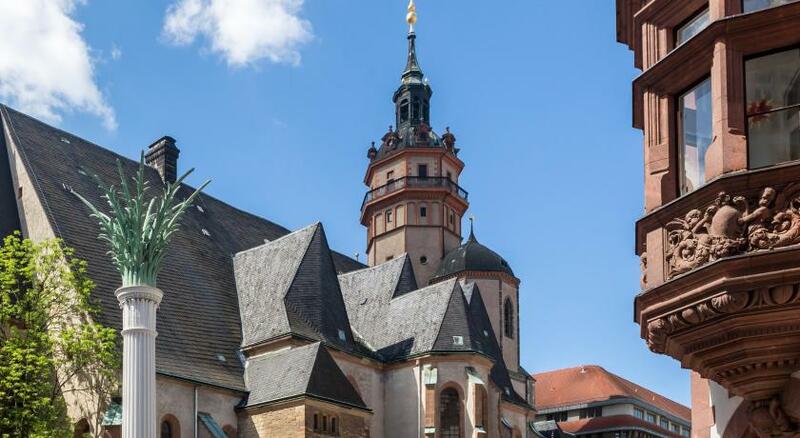 This property also has one of the top-rated locations in Leipzig! Guests are happier about it compared to other properties in the area. 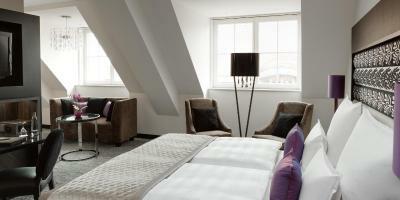 When would you like to stay at Steigenberger Grandhotel Handelshof Leipzig? Elegant, soundproof rooms with air conditioning, a TV, and a work desk. 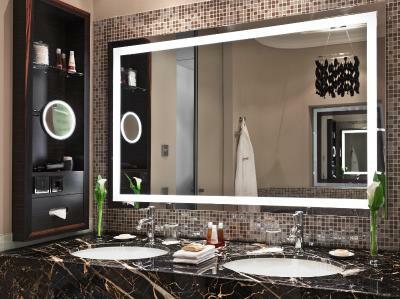 There are tea and coffee-making facilities, and bathrobes and toiletries are provided in the private bathroom. These rooms face either central Leipzig or the quiet courtyard. 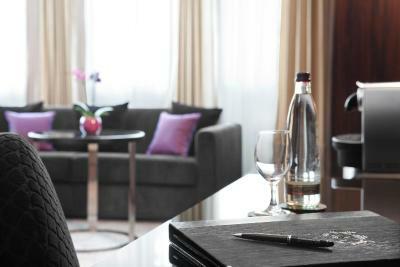 Elegant, soundproof suites with air conditioning, a TV, and a work desk. 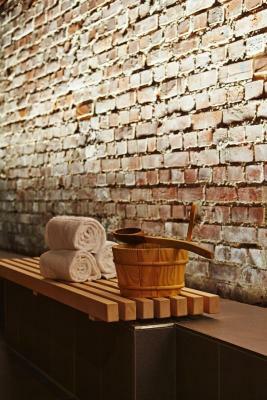 There are tea and coffee-making facilities, and bathrobes and toiletries are provided in the private bathroom. 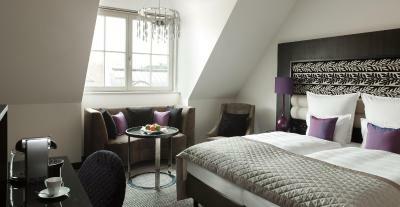 These spacious suites also include a sitting area. They either feature a large panoramic window, or are in the attic. This suite also offers additional space, a separate living area, and 3 telephones. 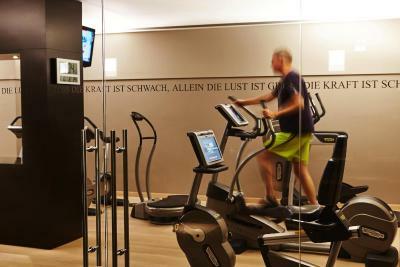 These rooms also offer extra space, and face either Leipzig city or the quiet courtyard. 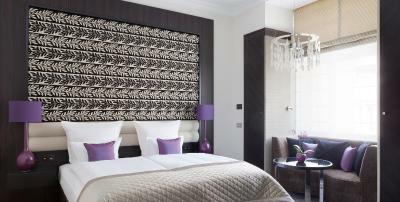 Elegant, soundproofed rooms with air conditioning, a TV, and a work desk. 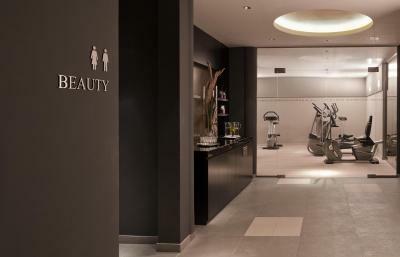 There are tea and coffee making facilities, and bathrobes and toiletries are provided in the private bathroom. These rooms also offer extra space. Hotel surroundings – This neighborhood is a great choice for travelers interested in restaurants, architecture and atmosphere – Check location Excellent location – show map Guests loved walking around the neighborhood! 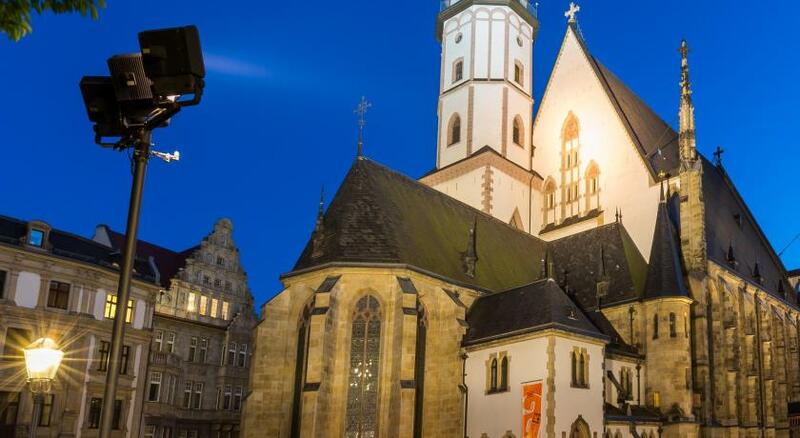 Leipzig’s elaborate 16th-century town hall and museum form the old town’s heart. Away from the busy market places, alleys and former merchant’s houses are home to the city’s best shops. 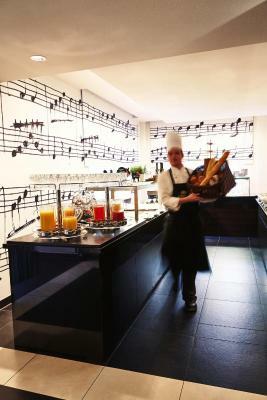 House Rules Steigenberger Grandhotel Handelshof Leipzig takes special requests – add in the next step! All children under 16 years are charged EUR 45 per night for extra beds. Any additional older children or adults are charged EUR 55 per night for extra beds. 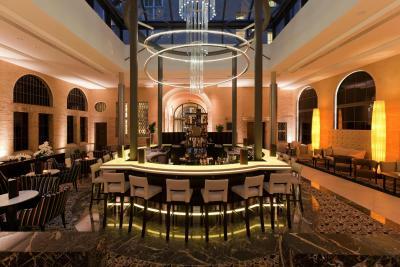 Steigenberger Grandhotel Handelshof Leipzig accepts these cards and reserves the right to temporarily hold an amount prior to arrival. Please note that a tourism fee amounting to a maximum of EUR 3 per person per day is charged directly at the property. The day of arrival and the day of departure are treated as a single day in regard to the tourism fee. 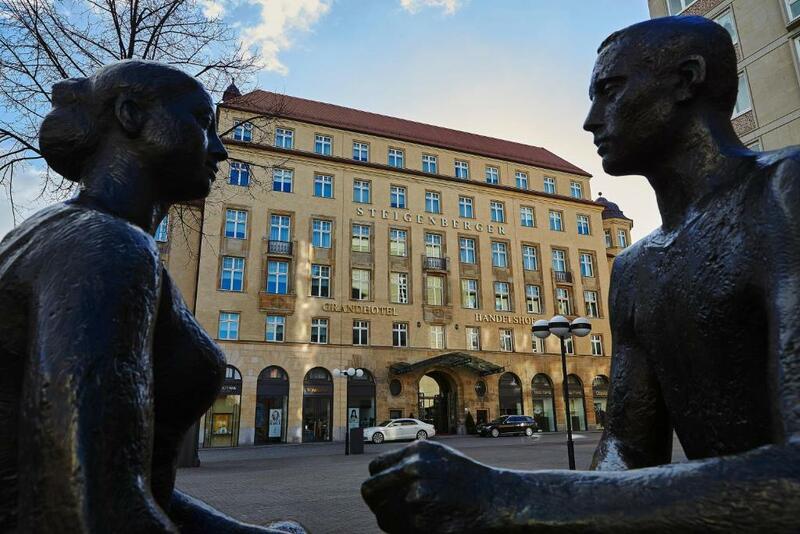 One of the most picturesque neighborhoods in Leipzig! Excellent top Hotel, pleasure to be there!! Leipzig very interesting for tourists and intellectuals since Bach, Mendelsohn, Wagner, Schiller etc. lived or passed through Leipzig. 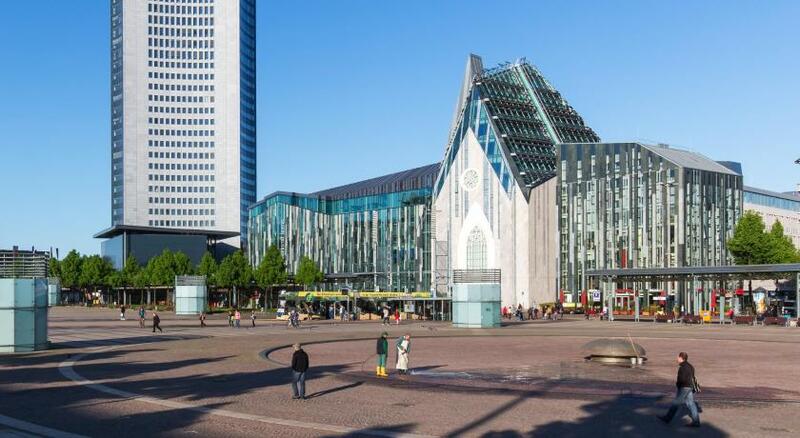 Leipzig pulled out of DDR mentality and merged beautifully with Western Germany! Easy to reach via Berlin by Train or car. Interntl. Tourists in Town! Leipzig manages also the Interntl.Book show! The hotel charged me after I left behind my back for a room upgrade I had not previously agreed to. It also "lost" our overclothes saying they don't have them and returned them only after our continuous requests. Central location. Good door men. Was unaware of room service charge separate to anything ordered. The breakfast is expensive and so we decided to eat elsewhere which was more than satisfactory. A minor gripe that in no way detracted from our stay! A beautiful hotel, inside and out. The bedroom was a lot bigger than we had expected and was very stylish and comfortable. The staff were very friendly and helpful. The hotel makes Leipzig look great! Top Hotel. Top Lage. Top Service. Top Management. The adjoined twin beds folded into each other, meaning we kept crashing into each other during the night. The spa was fine, but there was no pool. Breakfast was way to expensive (hint across the street you can get the same for 1/3 the price). Everything. 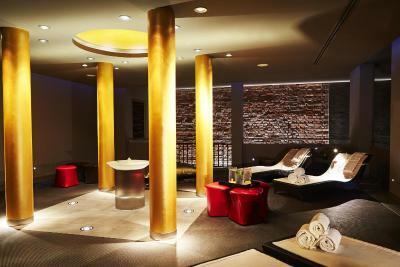 Great location in city centre in lovely historic building with super ambience. Very nice and comfortable room. Super friendly staff.and great food/ breakfast. Definitely stay there again next time we are in Leipzig.